You can usually set your watch by Chinese trains – but not today. The ticket inspector shook his head at my ticket and pointed to the “late trains” blackboard behind him. “25 minutes” was scrawled next to the T183, my train’s number. The “T” – the first letter of tekuai (very fast) – signifies an express train but, according to the bulletin board, the train was not as tekuai as it should have been. I asked to be allowed through to the platform, but the inspector’s resolute shake of the head told me that I had to stay put. Ten minutes later, the muffled announcement from the station’s less than modern public address system, that the T183 would arrive in ten minutes, signalled a move towards the ticket barrier. By Chinese standards, this was a leisurely movement: more of a saunter than a rush. The length of the queue – no more than thirty people – was a giveaway sign that, despite its 3 million people, Qinhuangdao is a low ranking city and, as such, qualifies for only a small number of tickets for passing “T” trains. Qinhuangdao has so few tickets for the Haerbin-bound T183, in fact, that it is very difficult to buy one on the open market. Most of the people in the queue would have bought their ticket within a few minutes of them being released for sale, three days before departure. A few others, however, would have got their ticket by cashing-in a little of their guanxi. Guanxi – or “connections” – is the Centrino processor inside China’s machine. And, as with Centrino, there’s lots of pressure to make sure that you are up to speed with the latest version. Get it right, and things happen at lighting speed; the improbable becomes likely; and sometimes even the impossible becomes nothing. Without it, then I’m afraid you have to get up at the crack of dawn three days before you want to travel and queue outside a ticket office for one of the scarcest commodities in Qinhuangdao – a train ticket to Haerbin. Everyone in China has guanxi, but some people have far more guanxi (better connections) than others. The amount of guanxi a person has is directly related to his or her status. 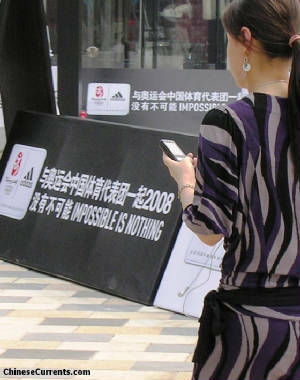 One of the proxies for status in China is the ability to make things happen. And the ability to effect change in China is invariably handsomely rewarded. In other words, guanxi is an important driver of personal, social and economic development. Guanxi building requires dedication, time and effort as well as, quite often, a strong constitution that can withstand regular drinking sessions and mammoth meals. These get-togethers are the foundation stone of “good guanxi”. Bonds are formed through the display of mutual respect, and friendships are saluted in a flurry of toasts. The recipient of the kindness (the one who isn’t paying the bill) is beholding to the person or people who have hosted the evening. He has a duty to repay the kindness, but not necessarily by going out for dinner. Thus the payer can be said to have built guanxi or, in other words, to have put some “guanxi points” in the bank. Likewise, “points” are earned (or repaid) when cartons of cigarettes, bottles of cognac, crates of beer, or insulated boxes containing live crabs change hands. It’s not surprising, then, that many people in authority – usually the ones with an approval stamp in their hand – have more dinner invitations than they can shake a stick at. Some people are better than others at fighting off would-be suitors. To give you some idea of the extent of the systemic misuse of the guanxi system, let me tell you about Zhang Hongtao, a 25 year-old government auditor from Cangzhou, here in Hebei province. China Central Television (CCTV), the government’s mouthpiece, reported that Mr Zhang “died in front of a restaurant while inspecting local companies.” He and his colleagues had, according to CCTV, “…repeatedly attended banquets organised by the local electricity bureau” (the subject of their investigation). Mr Zhang, tragically, crossed the line between “guanxi building” – important for good working relations – and abusing his position, not to mention himself. The next stage of this particular slippery slope is graft – the scourge of China’s development. There are numerous examples of government officials trading approvals of building projects, plans for golf courses, or high-rise apartment blocks, in return for thick brown envelopes, or sometimes even larger receptacles. When asked about the incident in Hebei province, Li Jinhua, the head of the national audit office (the unfortunate Mr Zhang’s ultimate boss), said candidly that, “Impartiality was difficult to achieve and resisting temptation [was the] toughest demand made on mainland auditors,” the South China Morning Post (SCMP) reported. Mr Li, who is also a Party deputy (one of the highest ranking positions in the Communist Party) has a reputation for candour. He is also formidably knowledgeable when it comes to audit practice. If, in the unlikely event, you are interested in the history of auditing in China, then Mr Li is your man. Whenever history is mentioned in China, one knows that there will be a lot to take in. 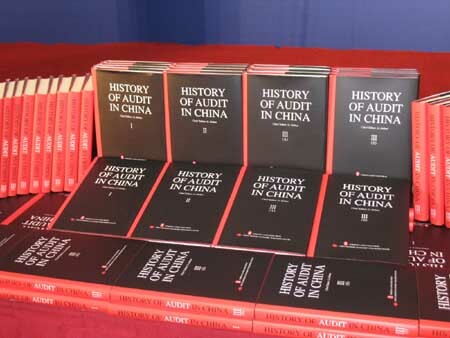 Who would have thought, though, that the history of auditing goes back some 3,000 years to the Western Zhou dynasty – the subject of the first chapter of the first volume of the scholarly work, “History of Audit in China”. Mr Li was Chief Editor of the complete set. Not much, then, has changed in a couple of thousand years. So good luck Mr Li, there's a lot riding on you and the impartiality of your department, because nothing upsets the hardworking young people of this country more than seeing people in authority with their snouts in the trough (but more about that later because I have a train to catch). Form an orderly line please.